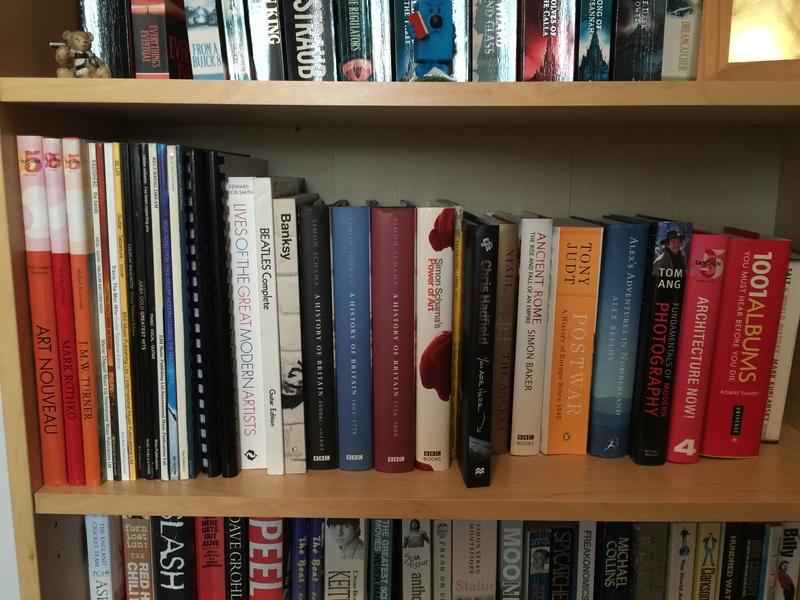 It’s world book day, and following on from the example of Suzie, from the Suzie81 Speaks blog, I thought I’d share with you a ‘shelfie’ to celebrate. This one is a bit of a departure from my normal shelfie, as it’s all non-fiction, covering art. music, history and mathematics, along with a copy of National Geographic from the month I was born. So how about you? Why don’t you share a ‘shelfie’ to celebrate world book day and tell us a little bit about it. Feel free to do a pingback here on my blog, or on the original at Suzy81 Speaks. Yep, big fan. I love the way he loves to skewer hypocrisy whenever he can. Me too. I went to his Bristol event a few years back, queued for 3 hours in the rain – worth every minute! Blimey, who does the dusting? My non-fiction is history/archaeology, art, music, management, fine arts, decorating, fashion/design, architecture, and I’ve forgotten what else. That would be me, but you caught it on a particularly good day. Good stuff! What is it they say? Read broad and read often. Ok I am putting a shelfie on my blog. Thank you for yours, as always I enjoy your posts. That’s a wonderfully eclectic list! Other’s have noticed Banksy as well. Love the “Shelfie” Another word enters the English language !